This is not your ordinary color coordinated contemporary design: this is an oeuvre d'art that screams retro and would be perfect for the groovy guys and gals out there. With the non-traditional design, the concentric elongated rectangular style gives out an impression of popular trend and revival. 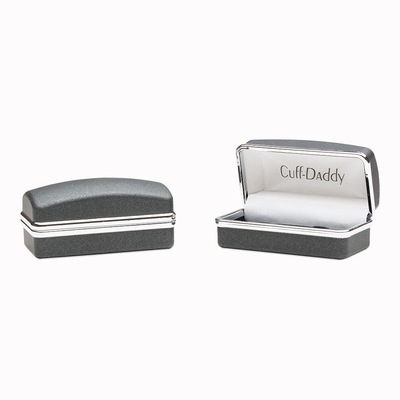 The colored enamel finish is mounted on a rhodium silver base, which gives these cufflinks a size of 3/4" x 5/8". 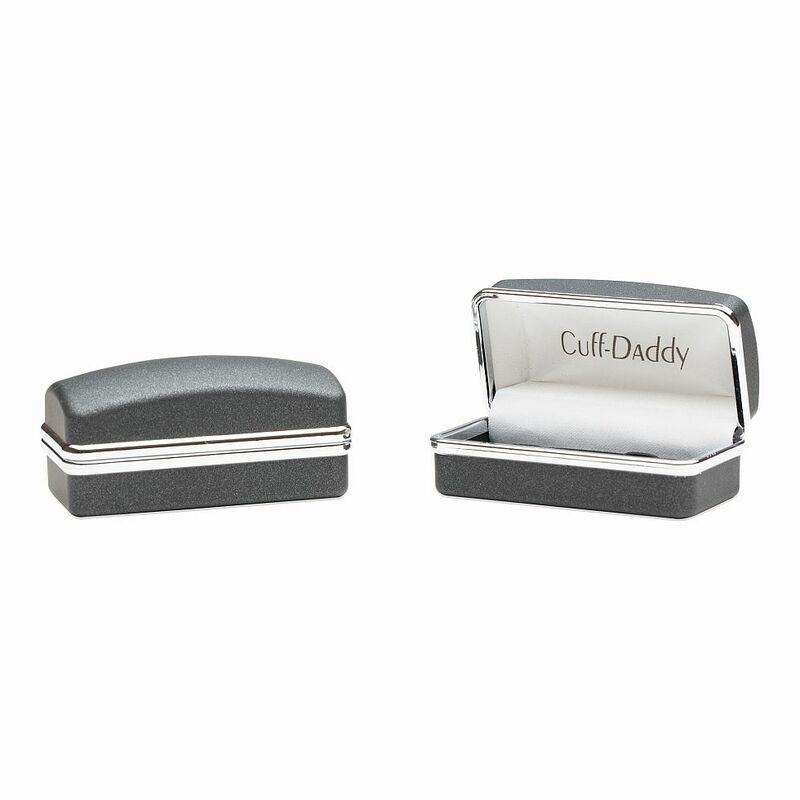 These may be harder to match but they're sure to make you stand out from the crowd. Try this pair and you’ll never be disappointed. 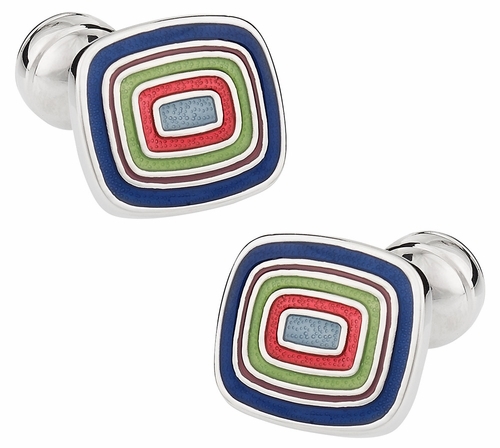 I like there are a larger variety of colors used in these cufflinks. I like the depth that the layered look is able to give.